Elaine has a rare gift for calling forth a person's inner beauty and capturing their true essence in her photos. And she does it with so much grace, respect and kindness! I felt completely comfortable working with her, and would highly recommend Elaine to anyone who wants an exceptional portrait, and a wonderful experience! Most photographers can capture what their clients want people to see. Rare is the photographer who captures the Heart, the Soul, of someone. Elaine Derby is one of these rare photographers. Perhaps she can do it because she is so much more than a photographer. From the moment I sat in her studio, she made me feel completely at home. While she guided me into talking about what I loved in my work, she began shooting. Her excitement at what she was seeing opened me to share more and reveal more. Elaine Derby, thank you for capturing my Heart!" From the moment I met Elaine, she exuded a level of warmth and trust that was very comforting. During the session, I could feel her passion for her work, and I knew I was in the hands of a professional. It was a heartwarming and profound experience. When Elaine presented the photographs to me, I was blown away at how she captured the essence of who I am. I’m so grateful I had the chance to work with her, and I would highly recommend her to anyone who wants to go deeper with their image. Elaine has an amazing eye and heart, and she can see beyond and into the hearts of her clients, photographing their true nature. Watching Elaine work was like observing a dance, and was a pleasure to witness! She made my daughter feel so special, and helped her to realize that she is truly beautiful. I cannot think of a better way to capture my daughter's beauty, and have it forever to enjoy. Elaine's talent is a real gift, and she knows how to use it. I'm so thankful for the incredible portraits that she created of my daughter! Elaine has been taking portraits of myself and my family for over 20 years. Every stage of my life has been documented with a timeless authenticity not often seen in family photography. I have experienced her photoshoots through the eyes of an unruly child, a surly teenager, and now an adult and I can honestly say no matter my age I always have fun in front of her camera lens. After the passing of my grandmother, family portraits fell by the wayside. This year I wanted to do something special for my mother's birthday. I wanted a gift that was both personal and beautiful and I of course thought of Elaine. I am so pleased and excited to add another work of art to our collection. How lucky are we to have someone in our lives who knows our good side better than we do?! Elaine is a consummate professional and true artist. She allows her subjects to be themselves and through her patient, kind approach, Elaine elicits the most natural expression in her photography. Even when my children were babies and sometimes unruly, there was no feeling of pressure but rather the assurance that she would capture a beautiful, honest expression, with or without a smile. Elaine has photographed the many stages of my children and our family (children are now 12, 10 and 8) over the past 12 years and her photography has a timeless quality that is hard to find. Elaine is wonderful to work with and her end product is unmatched! I am absolutely thrilled with photographs Elaine took of me. They are just stunning! She captured a variety of looks and moods, ranging from professional to playful to romantic. This is especially remarkable because I am very shy in front of the camera. Elaine was very kind and patient and coached me through it all. I am so grateful to her for documenting this time in my life. For more than 20 years, I have taken my two daughters to Elaine for their portraits countless times, with incredible results from every single session. I have spectacular memories of their youth! Elaine's portraits are priceless works of art that I'll enjoy for the rest of my life! I would highly recommend her to anyone who appreciates exceptional quality portraiture, and the opportunity to work with a photographer who genuinely cares about your children. "Working with Elaine was a magical experience! During the photo shoot, I was continually amazed at how she had a technique or suggestion to achieve every effect we envisioned. Elaine’s ability to sense my essence and bring it to life in her photographs was truly astounding! In the end, we were both moved to tears by the beauty and sacredness of what we had co-created. 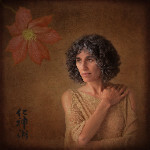 Elaine’s Soul Connection Portraits are absolutely her divine calling!" Working with Elaine was a pleasant and highly professional experience. She takes the time to carefully examine colors, shades and light when doing outdoor portraits, which I love the best. Elaine makes you feel comfortable and very natural, especially if you don't like to be photographed. She cheers you and intuitively guides you into a pose which will express the essence of who you really are. I would always recommend Elaine for inspiring and unique photography work. Her technical expertise is beautifully blended with an artistic nature in portraits you'll cherish for a long time. Thank you Elaine! The wonderful experience I had with Elaine was not a surprise, since I have seen how she works with people many times. Elaine puts you totally at ease and it all feels very natural and fun. At the same time, she's able to capture the essence of the person, which is quite profound. The results from my portrait session were stunning, and I have been getting so many incredible compliments from people who have seen my portrait! I have been reluctant to have a professional portrait done for several years because past experiences with other photographers were so unsatisfactory. Then I found Elaine!! We went to a beautiful outdoor location where she patiently waited for just the right light. I was astounded when I went to her studio to see the results. For the first time in my life I was thrilled with my photos. She doesn’t just take pictures. She captures the essence and soul of her subject! I highly recommend Elaine without reservation. Elaine Derby provided me with an amazing, professional headshot for my business. She captured the spirit of who I am in my profession, and my business credibility has grown as a result. Elaine has a professional studio at her home, and she is a master at bringing out the best in people! I felt very comfortable as she guided me through the photography session. I am thrilled to have such a professional and attractive picture for my website! Elaine Derby is a talented expert in her field, and I would highly recommend her if you want excellent quality and an award-winning photograph! TALENT + EXPERTISE + SPIRIT = MAGIC When Elaine showed me my headshot, I had an out of body experience. When I shared it with others, they got chills. Elaine had beautifully captured my spirit and celebrated it in a photo. Elaine is the only choice! Elaine is a true professional and a skilled portrait photographer. I am camera shy, but she was very patient and made me feel comfortable. Her sense of humor helped me relax and smile during the photo shoot. The care that Elaine takes in planning each portrait session is evident at the initial consultation. She not only created beautiful portraits, but allowed our daughter's personality to shine. My husband and I will treasure these keepsake portraits of our daughter forever! It's amazing how quickly our children change and grow! As a mother, it's so important to me to preserve these precious moments. Elaine's portraits are works of art that fill my home. Her work is classic, timeless, and priceless. I wouldn't go anywhere else! Elaine's portraits of our children and family have a prominent place in our home. They have given us so much enjoyment, to be able to view them every day. She has a special gift of capturing their personalities and composing them into memories that will last forever! Elaine did a beautiful job photographing our children. Not only did she capture their physical beauty, but their individual personalities shine through as well. The portraits she created are absolutely amazing!